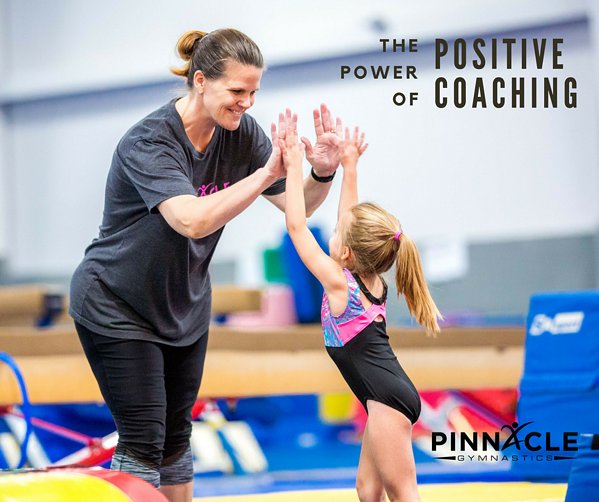 A good coach can be one of the most influential people in a child’s life. A bad coach can be one of the most influential people in a child’s life. Being a coach should be so much more than just teaching children how to play a sport. Coaches are major role models for children, not just in sports, but in life. Studies show that athletes are much more likely to stay in a sport if their coach is encouraging and positive. Who would have thought? As adults, we enjoy working with people who are optimistic rather than pessimistic. Children are the same. Athletes will be more confident and perform better when they receive constant encouragement and positivity. But let’s be honest, often times relentless positivity is hard to achieve. You didn’t sleep well last night, your athletes are being rowdy and wild, you have so much adult life to stress about. You’re a coach, you’re supposed to be watching your athletes and making corrections. Right? What if I told you that sometimes, many times, finding that one thing to be positive about will make more of a difference than pointing out a hundred corrections? Give it a try and see how your athletes flourish. How can you bring the positive energy? Below are ten (ish) easy ways to use relentless positivity in your coaching. High fives – How simple? But an easy high five can make a huge difference. Fist bumps – Just like a high five, but somehow much cooler. A-Z of encouraging praise words – The easiest way to implement this is to pick a praise word that starts with the same letter as the athlete’s name. Raise the roof – Your kids will think you’re crazy and awesome. “Can I get a woo woo? !” – Get your co-coaches in on this one. How many woo woos can you get back in one practice? Big smiles – All. The. Time. 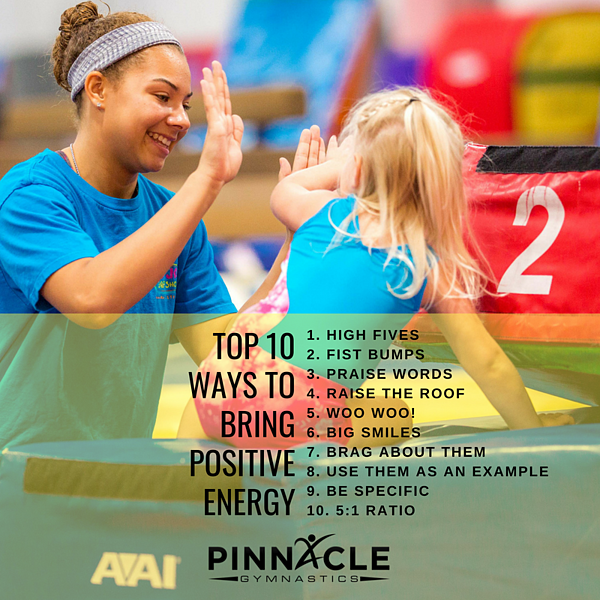 It’s a simple facial expression that will let your athletes know that you’re having fun too. Brag about them to their parents – Pick that one thing that they did right in practice and gush to their parents. Use them as an example – Notice one athlete doing a drill or skill particularly well?Pause practice and have their teammates watch them. Always use a correction sandwich – In this order, give them one encouraging statement, give them a correction, and then give them another encouraging statement. Be specific – “Great job” can only get you so far.Tell them specifically what you like about what they’re doing. Learn how to individualize coaching. 5:1 Ratio – Always use a 5:1 ration of encouraging words to corrections. One quick word of warning: All this amazing positive energy will only be successful if you, the coach, are one hundred percent sincere. If you don’t mean any of the positive words coming out of your mouth, then you might as well stay quiet. No one likes being patronized, and it’s surprising how easily children pick up on it. Sometimes this is going to be extremely difficult. Practice has been a disaster, and your athletes are struggling. Find it. Find the one positive thing, focus in on it, and start encouraging it. You will see a difference. Coaching education is an important key to productive workouts and long term retention which leads to success. After all, athletes aren't made overnight, but instead are a result of repeated processes that shape young minds and bodies. Now, here is one final thought before we go: Please remember that above anything else, you are working with a person. A person who probably hasn’t been on this earth for more than a handful of years. Be patient. Not because it will pay off in their sports performance, but because you are working with a human who is deserving of positivity, encouragement, and patience.